At Pak Mail of Battle Creek, we understand the ins and outs of packing and shipping anything anywhere. We use the safest, most reliable methods to pack and move everything from boxes and crates to equipment and machinery. We use the safest, most reliable methods to pack and ship everything from boxes and crates to equipment, machinery and freight domestically and overseas. 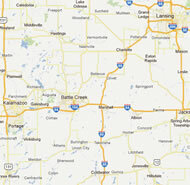 Let Pak Mail of Battle Creek handle all of the everyday to one-of-a-kind shipping needs. For your convenience, we have developed some brief guidelines to assist those who choose to pack and ship their own possessions. Visit Pak Mail of Battle Creek and consult with the experts.